Using the right tools for the job help you get the most out of your Primo ceramic grill. That's why every Primo griller needs the Primo Roast Rib Rack for Oval Extra Large and Kamado Ceramic Barbecue Grills. 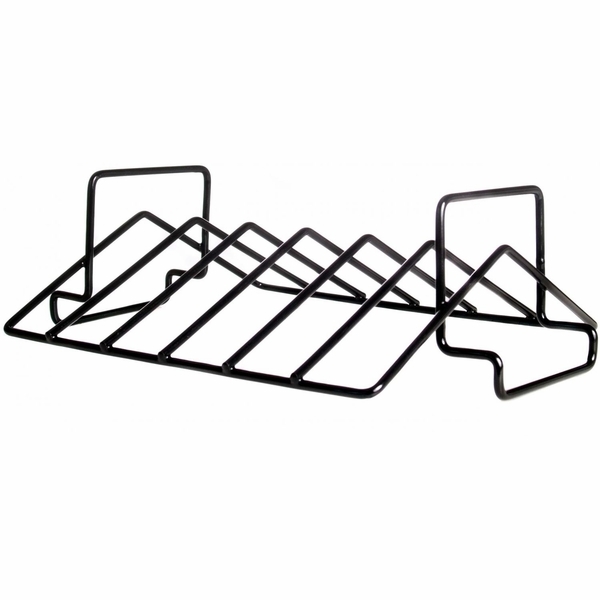 This v-shaped rack can be used in the upright position to hold large pieces of meat such as loins or roasts, turkeys, and chickens, or it can be used upside down to accommodate up to six racks of ribs. To use the amazing heat control of a Primo ceramic grill properly, you need to make sure you treat specialty foods the right way. Get those foods the treatment they deserve by utilizing the Primo Roast Rib Rack for Oval Extra Large and Kamado Ceramic Barbecue Grills with your grill. WARNING: Burning charcoal in this product can expose you to checmicals including carbon monoxide which is know by the State of California to cause birth defects or reproductive harm. For more information go to www.P65Warnings.ca.gov.